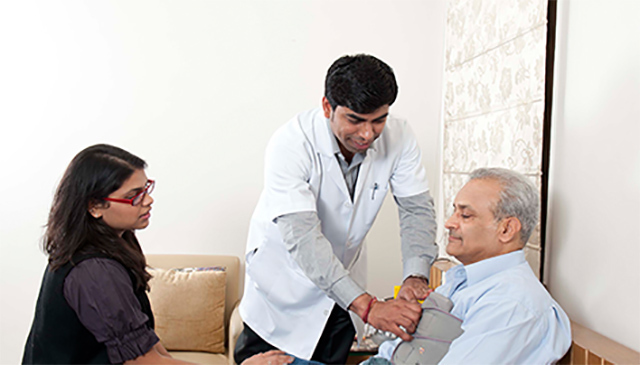 Home healthcare services provider Health Care At Home India Pvt. Ltd (HCAH) has acquired Health Impetus Pvt. Ltd for an undisclosed amount in a deal that will help the company start offering disease management services. The acquisition will also help HCAH provide patient care services including equated monthly instalment schemes for chronic ailments such as cancer, diabetes and Hepatitis B to help patients continue with high costs of treatment, it said in a statement. “With this acquisition, HCAH has increased its bouquet of services to pharmaceutical companies,” said Vivek Srivastava, co-founder and chief executive officer at HCAH. Noida-based HCAH is a joint venture between Dabur India Ltd’s promoter Burman family and founders of the UK-based Health Care At Home. In a recent interaction, Srivastava had told VCCircle that HCAH was looking to raise Rs 100 crore for expansion. Health Impetus was founded in 2008 and is based in Navi Mumbai. It provides financing services to patients and patient record management services to doctors and hospitals, according to its website. It also provides contractual workforce and technology products to manage customer relationships, automate sales force and maintain health records to pharmaceutical companies. India’s home healthcare industry was worth $2 billion in 2014 and is growing at 20% annually, according to accounting and consulting firm PricewaterhouseCoopers. India's aging population and rising cases of chronic diseases due to lifestyle disorders, among others, have been driving the home healthcare market in the country. Major home healthcare providers in the country include Portea Medical, which is operated by Health Vista India Pvt. Ltd, Medwell Ventures Pvt. Ltd and Chennai-based India Home Healthcare. In March, Portea Medical acquired home medical equipment provider Health Mantra India Pvt Ltd for an undisclosed amount in cash and stock.